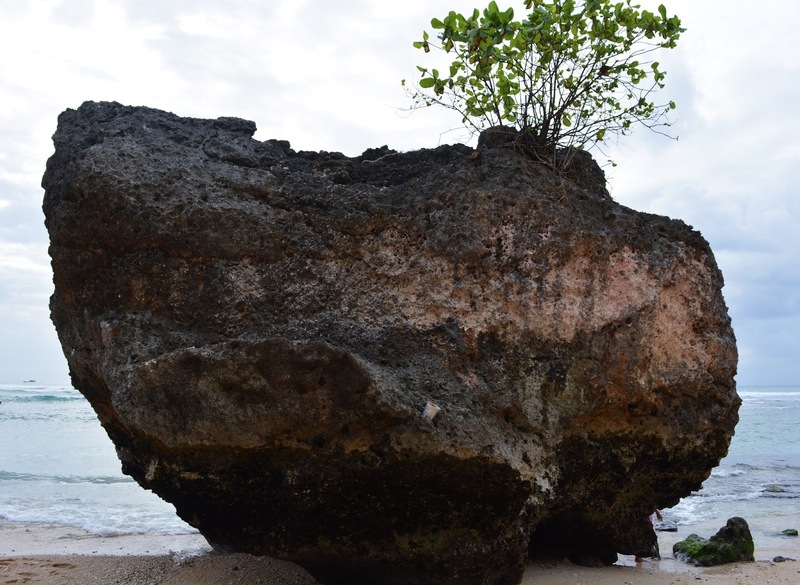 When I made the decision to go travelling, I decided that I wanted to do two different volunteering programmes the first being Marine Conservation in Blue Bay, Mauritius and the second being Teaching in Ubud, Bali. 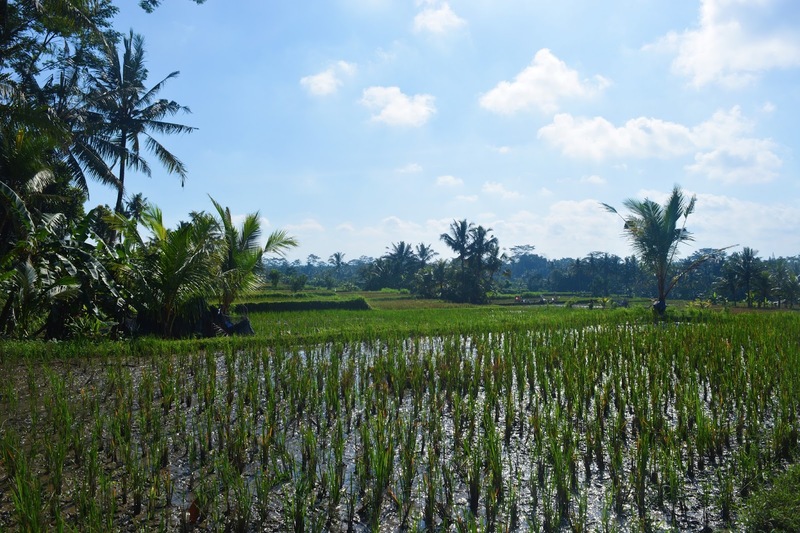 I had always heard such positive things about Bali and that it was such a beautiful place, which is why when I found a volunteering opportunity that I liked there I thought it would be perfect. After having an amazing time in Mauritius I didn't really want to leave the place or people, which made for a difficult couple of days where I struggled to adapt to staying in Bali and felt really sad. I did get in the swing of things a couple of days in and really started to take in the beauty of my surroundings, and once my volunteer programme started I was happy to be in a routine once again. I've also made more great friends who have had me in fits of laughter and was sad to be leaving them for the last part of my journey travelling through Australia. When volunteering abroad you most often than not go through an agency first who you will deal with up until you leave and then once in the country you will be working with their partners (the NGO, the agency acts as a buffer between volunteers & NGOs. I found the teaching volunteering opportunity through Frontier who are a very well known organisation and seemed reasonably priced. I had very high expectations for Frontier, however, dealing with them felt like a massive headache and as if I was speaking to well rehearsed robots. My first issue with them came with regards to my visa application and that when applying for my social visa (volunteering falls under this type of visa) they said you didn't need a copy of your sponsors passport/local ID, when in fact you do as I spoke to the Indonesian Embassy myself. I had to call the Embassy a second time and then spoke to Frontier again emphasising that I had spoken to the Embassy twice and you did in fact need proof of your sponsors identity. My second issue dealing with them arrived in my first week in Bali, as I found out you need to be out of the volunteer house on the Saturday and not Sunday. They don't disclose this information clearly and had to book a hotel for a night to tie in with my flight to Australia. They provide you with this little tidbit in the field brief, however, it isn't made clear that you need to leave the house on the Saturday as it says the program finishes on that day and you only get the field brief after your final payment. I made my final payment long after I booked my flight to Australia and this information is in no way provided before this point, I also found Frontier quite patronising after discussing the matter with them and definitely wouldn't go through them for any future projects. Their partners in Bali (the actual NGO) are called Green Lion and before I left to go to Bali, I had done a fair bit of googling to find out more about the project and came across a bad review in the process. This made me a little bit stressed before going there, which made me go in with very low expectations and knowing that the children wouldn't necessarily be well behaved. 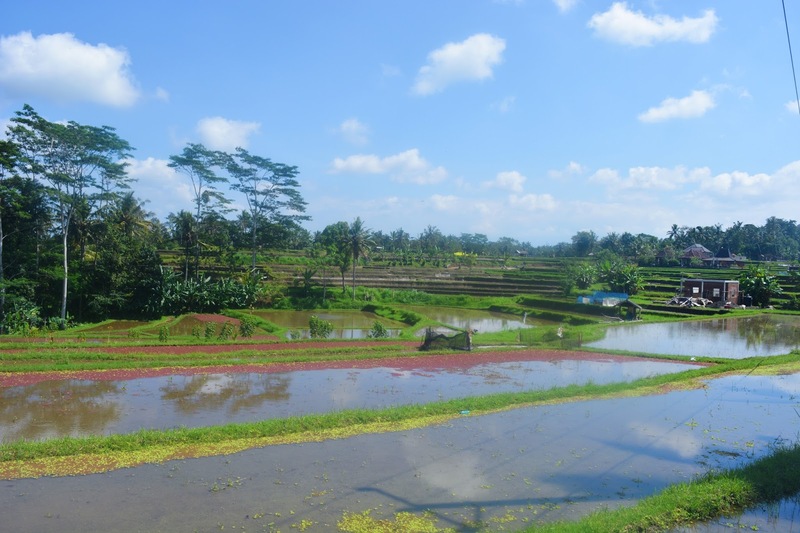 I had decided to do three weeks in Bali and one of which was an introduction week. I would be lying if I said that I enjoyed every second of my time volunteering as it was challenging at times, as there are days when the children are angels and others when they were a complete nightmare. However, it is amazing when something that you teach them sinks in and will hopefully help them for future life. 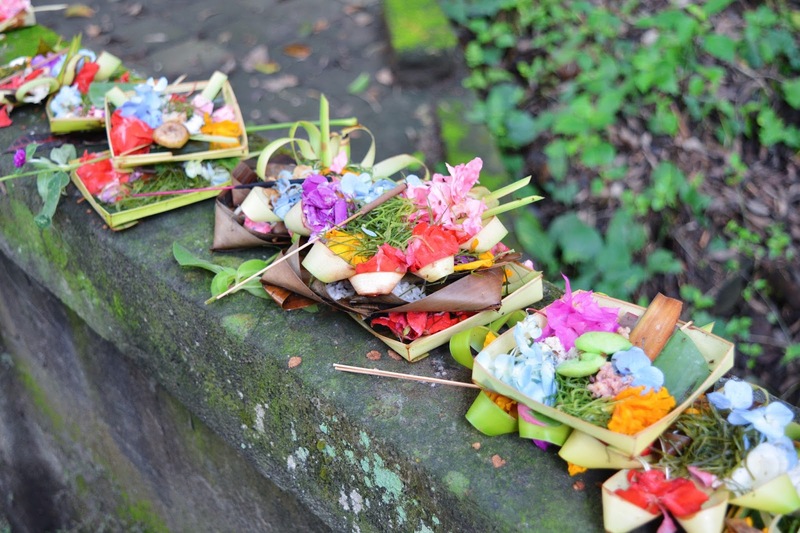 As mentioned above you have Introduction week the first week to ease you into Balinese culture and you get an indepth insight into the way they live. I loved the induction week and all of the activities, my favourite by far was the Balinese traditional dance show called 'Kecak Ramayana and Fire Dance.' It was fascinating and I still have the music stuck in my head to this day. The introduction week consists of Balinese language classes, a cultural class, a tour of Ubud market and Monkey Forest (I only lasted 10 minutes in Monkey Forest as the monkeys were quite scary and they would jump on you, I know I'm a wuss), a Batik Painting Class, a walking tour of rice fields and Goa Garba Temple, cooking class, a flower offering class and a spiritual tour of the Pura Tirta Empul Temple where you can bless your body with Holy Water. It was a jam packed week but I loved every second of it and I think it is amazing that Green Lion do this as you do get to discover so many different things you wouldn't have otherwise. 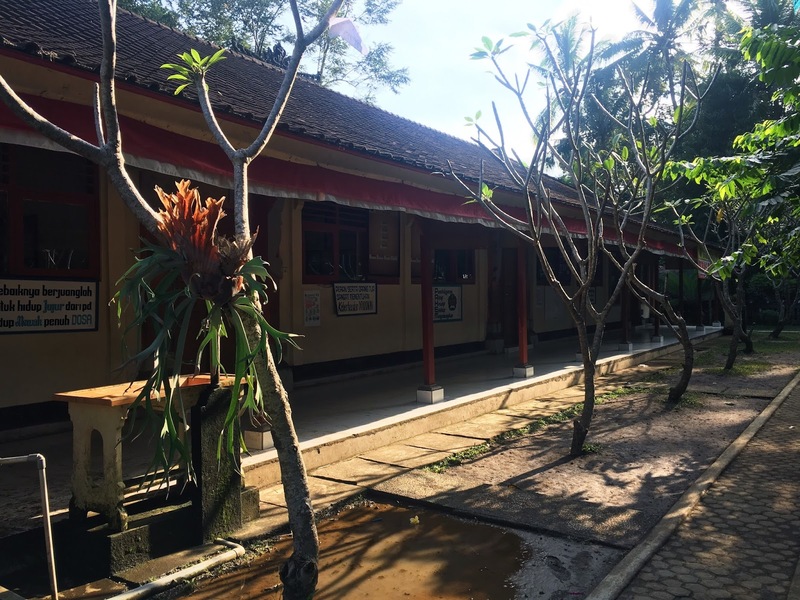 My second and third weeks in Bali were spent doing my teaching project and it was fascinating seeing a different country's education system. A normal day consisted of preparing the lesson in morning and teaching in the afternoon as the English teaching programme is done outside of their normal school hours which are roughly from 7am - 12pm depending on the school. They also go to school six days a week instead of five. My roomate Sarah and I taught sixth graders (10-12 year olds) and we were given curriculums of previous grades to give us a guide to what they had learnt. The trouble with the old curriculums though is that the students aren't up to the level that they should be as they only get 45 minutes of English lessons per week, this makes the Green Lion program all that much more important as you are truly giving them a step up that they wouldn't have otherwise. Teaching the kids wasn't always easy as they just wanted to mess around sometimes and be loud, I must have said be quiet hundreds and hundreds of times during my time at the school. The language barrier can be difficult at times with the children but the good thing about Green Lion is that you have a coordinator in each school. At the end of the day kids will be kids no matter where in the world you are and they are lovely, they just had trouble concentrating some times. On my last day at the school, all of the kids made me make shift flower bouquets to say goodbye and I found myself sad to say goodbye to them. I have honestly been blown away with the organisation of Green Lion, they pick you up from the airport and take you to your accommodation. They pick up multiple people from the airport at one time, which I personally think is really good as you aren't alone and get to know fellow volunteers from the get-go. They also provide you with a breakdown of where your money goes, which I think is really good of them and shows that it isn't all going into their own pockets. The staff and coordinators were truly great, accommodating and would help you in anyway that they could. My volunteering experience has had its ups and downs, but I was lucky to be paired with my housemate Sarah who made my teaching experience awesome and being in a pair is less daunting than being alone. I don't at all regret my time volunteering in Bali and it has truly been a learning curve. I would definitely recommend Green Lion if you are interested in volunteering abroad and the only thing I was disappointed with about the volunteering is that there was 200 volunteers. It was weird going from being four volunteers in Mauritius to being one out of 200 in Bali. 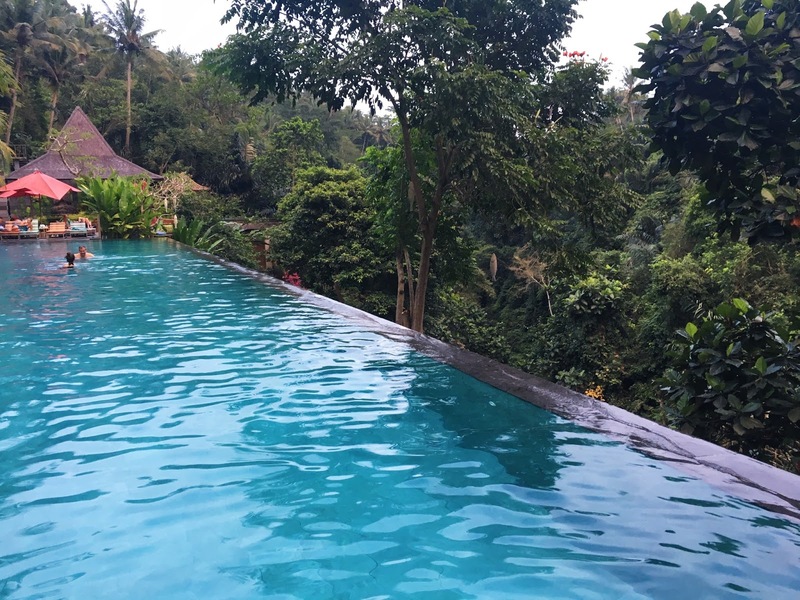 This made it difficult to make connections with people outside of your volunteer house (there are at least 14 Green Lion volunteer houses in Ubud), but at the end of the day I wouldn't change going there as I left Bali with two great new friends who I will definitely see again. If you would prefer to volunteer in smaller groups, my advice would be to speak to your agency about their partners and see if you can talk to them about volunteer numbers. In Mauritius, I was lucky to explore quite a lot of the Island and see lots of different areas whilst there, however, having been quite busy in Bali I haven't seen as much as I would have liked but am still happy with where I got to visit. 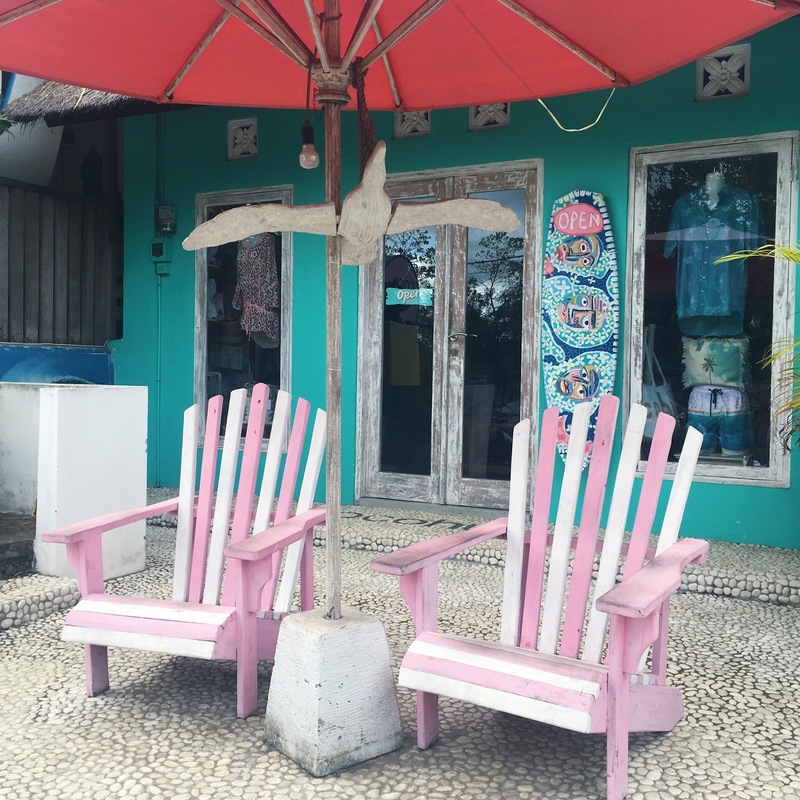 I got to visit Gili Air, Uluwatu and Kuta during my stay, and haven't been at all disappointed by what I have seen. 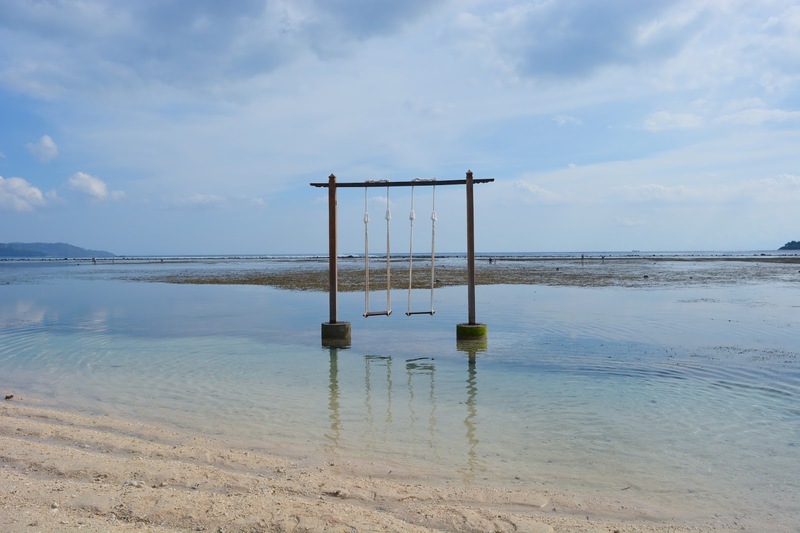 One of the places I wanted to visit the most in Bali was one of the Gili Islands as it had been recommended to me by an old work colleague and I had seen lots of amazing pictures online. 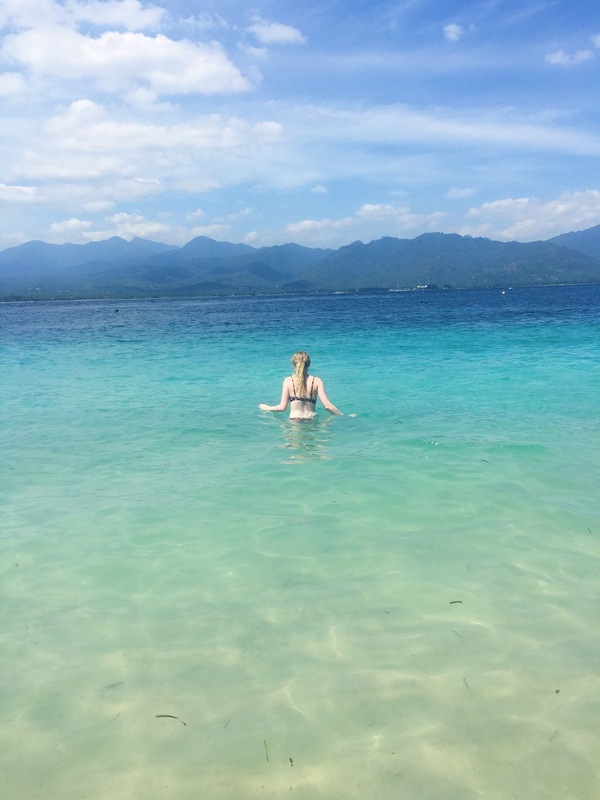 My housemate, Sarah and I went to Gili Air one weekend and it is truly beautiful there, the sea is gorgeous and the island is really cute. 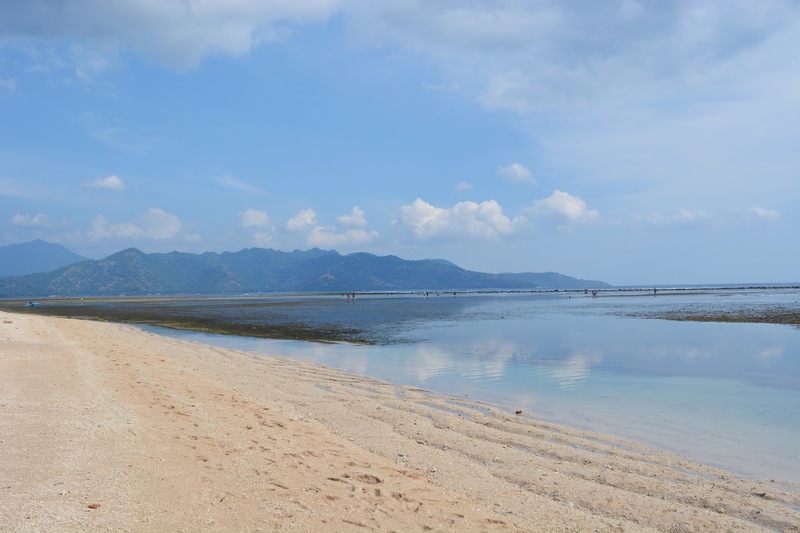 The whole of Gili Air is only 5km so you can actually walk round it in an hour depending on the pace you walk at. 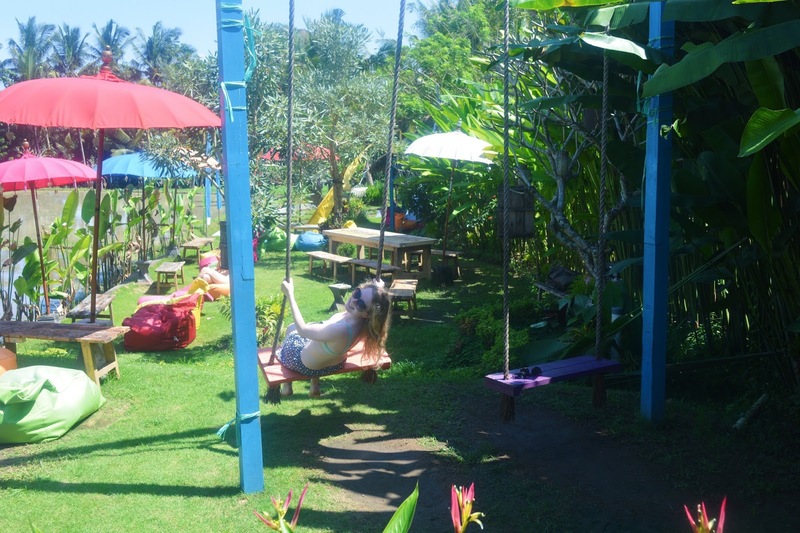 I loved visiting the island and our accommodation was really nice, we stayed at a place called Cahaya Home and the woman who ran the business was so nice. If you plan on going to one of the Gili Islands I would personally recommend going there for more than one night as the boats to the island can be a bit of a nightmare and it is a long/tiring journey to do for a short amount of time. Uluwatu is in the south of Bali and we found a nice beach called Padang Padang to relax on, it has great waves for advanced surfers and is a really nice area to chill in. They have an amazing cafe called Single Fin that has the most incredible view of the Ocean and is different to anything I have seen before. We also ate at a cool place called Buddha Soul Organic Fusion Restaurant and the food there was absolutely divine + healthy which is always a bonus. 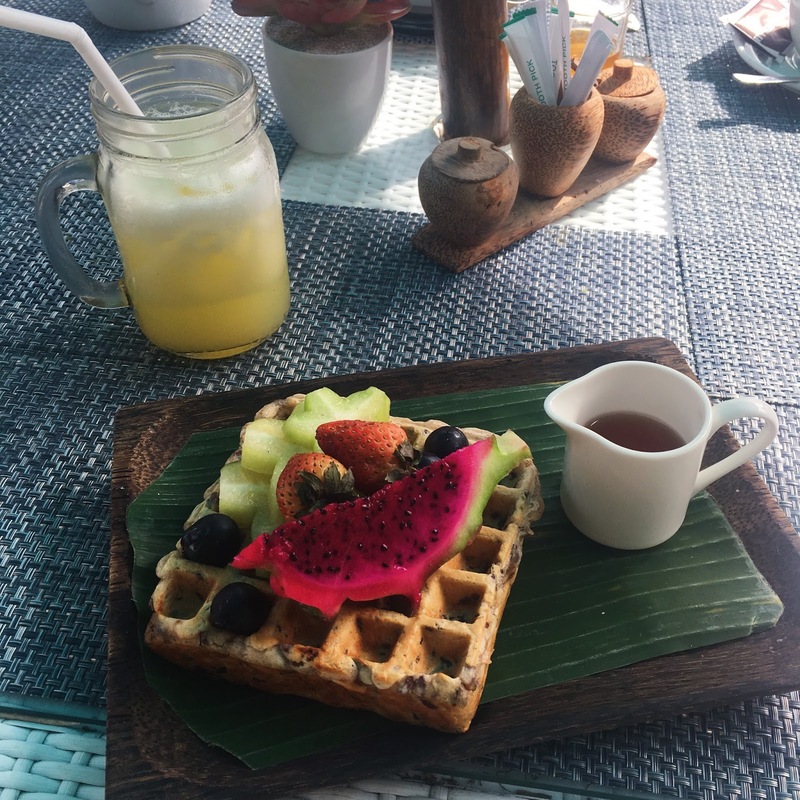 I also spent a day in Kuta (a really touristic area), which has a massive beach where lots of people learn to surf, there are lots of Western shops (Topshop, Miss Selfridge, Brandy Melville, etc...) and market shops, there are also dozens of bars and restaurants. 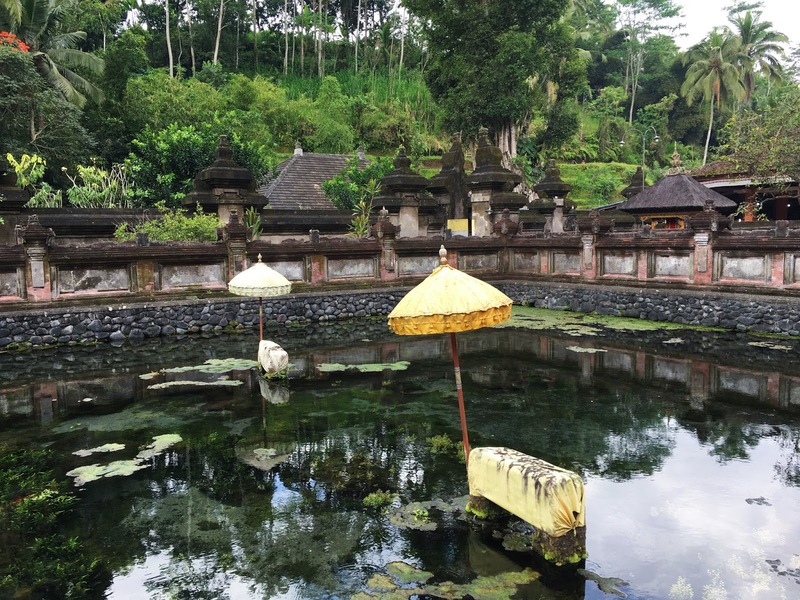 If you are looking for a peaceful break I wouldn't recommend going there as it is really busy but I went with two friends to see what it was like and enjoyed seeing a more Western side of Bali. We had lunch in a nice restaurant called Cafe Sardinia, which was opposite the beach and very reasonably priced (their pizzas were so good!). 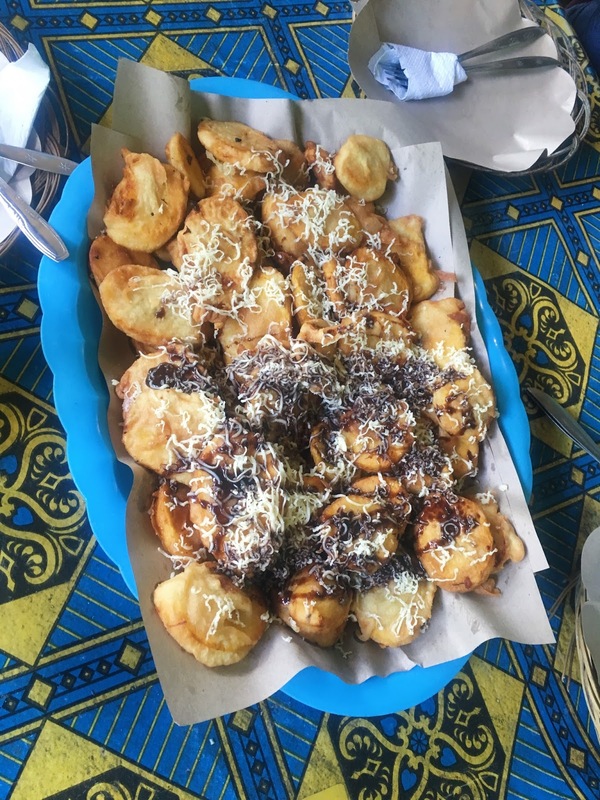 The food in Bali was something that I struggled with quite a lot during my stay there and was ill on & off, as a volunteer our meals were provided by a cantine three times a day five days a week, with the exception of the weekends when only breakfast and dinner was provided. I knew coming to Bali that their food was somewhat spicy but the cantine was meant to not be that bad. There also wasn't a lot of variety in the food they cooked and I was eating a diet of rice + noodles for three weeks, it was safe to say I have eaten either of those recently! I never thought the day would come where I would crave a salad but after my time in Bali I couldn't think of anything better. I did eat out a couple of times a week when away or for a break from cantine food, but that can quickly add up and become expensive. During my time volunteering, I was based in a village called Penestanan and in a house of 18 fellow volunteers. There was a separate room for the boys with their own bathroom outside of the main house and in the main house was space to sleep 12 girls sharing one bathroom. I'm not going to lie sharing one bathroom (where the toilet and shower are both located together) with lots of girls can be slightly difficult but there weren't that many issues and was something different to what I am normally used to. The currency in Bali is the Indonesian Rupiah and one pound is currently worth 17,376 IDR. There are lots of ATMs in Bali, along with currency exchangers. I would strongly recommend bringing more than one card with you or if you only have one card then bring more cash as quite a few of the volunteers had trouble getting money out with certain cards and it does make things quite stressful. Small places also don't necessarily have card machines so you should always have cash on you. 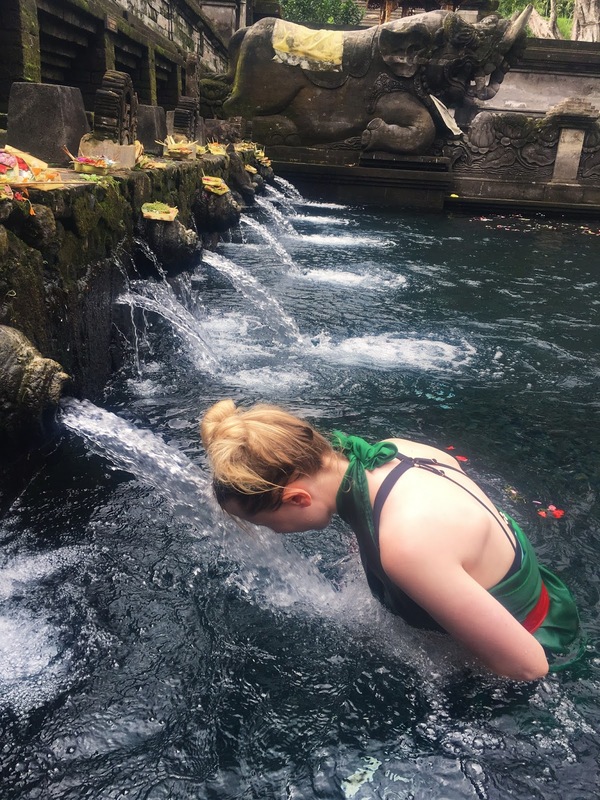 My time in Bali has also fallen under their winter, which I am very grateful for as the humidity here is a force to be reckoned with and when it is really hot it can be very unbearable going anywhere that doesn't have air conditioning. The temperature has varied between 25-35 degrees, which is perfect for a pale person like me. Their dry season is from May until September, and it probably rained for one third of my time there, but it was actually quite refreshing and after spending a decent amount of time in such a humid area I will definitely appreciate English rain for a little while. I'm also glad I came during their winter/dry season as it means less mosquitos and considering that Bali is one of the countries where you can catch Dengue Fever I sure am happy I visited the country in July/August. 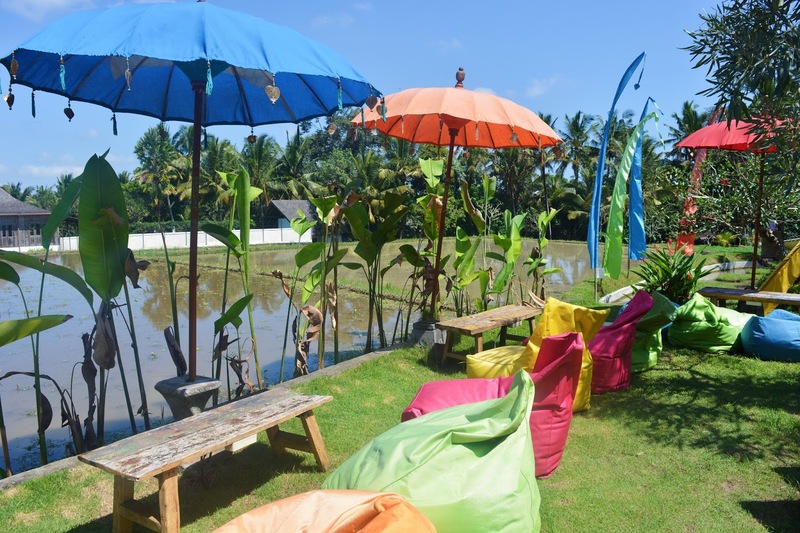 The official language in Bali is Balinese, but a lot of people speak Indonesian and English too. Everywhere I have been in Bali the people have had a basic understanding of English so you can get by as long as you don't speak a million miles per hour and the people are really friendly + eager to help. Due to the fact that I am travelling for nearly three months, I had to bring everything for three different countries all at once and that meant I was lucky to have a variety of clothes depending on the weather. When teaching I had to wear clothes that would cover my knees, chest and shoulders, so I took with me more conservative clothes to respect their school rules, but they also came in handy in the evening when the temperature dropped a little bit. During my free time, I was either in shorts or a dress and lived in flip flops most of the time, with the exception of when it rained or went for long walks then I wore trainers instead. I would advise bringing a rain coat with you when you come to Bali as even in their dry season you can still have heavy downpours and on more than one occasion when I didn't have my rain coat with me I ended up looking like a mess. Toiletry wise you can buy everything you need in the country and shampoo/conditioner isn't expensive, however, I would buy suncream in your own country as it was quite a bit of money. As mentioned above, Bali is a country where they can have Dengue Fever outbreaks so if you are slightly worried about it like I was I would recommend bringing mosquito repellent containing DEET or bringing a mosquito net with you depending on what type of accommodation you are in. For most of my time in Bali, my transport has been arranged by Green Lion as my school was 45 minutes away and we needed taxis for my introduction week. I have also used taxis in my free time and compared to English prices they are so cheap!!! They give you a price upfront so you don't have to stare at a monitor worrying that the price is going up and stressing about it being expensive. If you are travelling with people that helps to bring the price down and it doesn't matter how many people are in the car. Most people get around in Bali, by getting taxis or renting cars/scooters, all of which are easy to do. Let me warn you now that the roads there aren't always that advanced and more often than not they are quite narrow. I have also never seen so many scooters in my life and it is safe to say I do not miss them one bit, as they have no consideration for other people on the road and I'm surprised I hadn't seen an accident during my time there. Would I come back to Bali? I have thought about this quite a lot since leaving Bali and I honestly don't know if I would go back. I really enjoyed my time there and made some good friends through volunteering but I don't know if I would go back to Bali specifically. 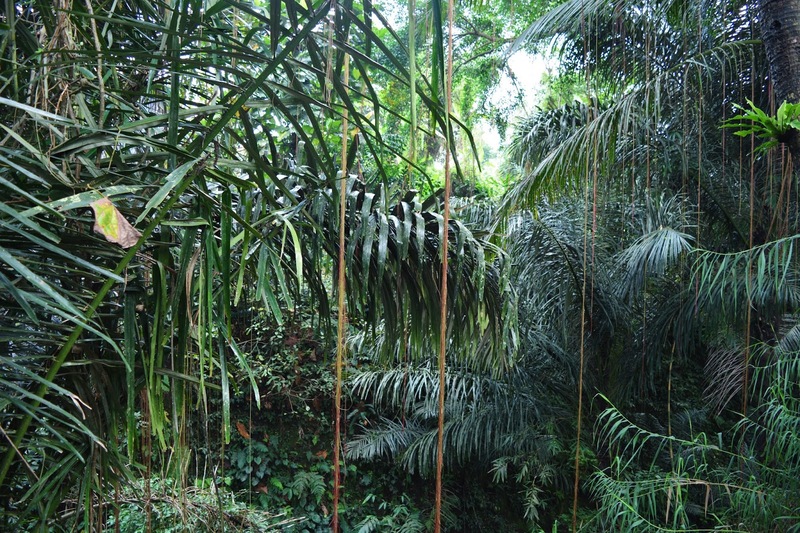 I would quite like to visit other parts of Indonesia, such as Jakarta and Java as they look beautiful.